I am extremely pleased with this company. Katia has been a great joy to work with. She had been graceful and attentive to my needs. I would recommended this company to anyone. Proweaver did an excellent job in designing my company's website. From beginning to end, they were very helpful, informative, and diligent in the development of my company's website. They strive to ensure my satisfaction of the product. I would highly recommend in working with Proweaver for the development of your website. Proweaver is top-notch when it comes to website designs! My experience with them as been absolutely phenomenal! If there's an issue they fix it immediately without any complaints. I would definitely recommend them to anyone looking for a great website designer. They're the full package! Proweaver is great, they are very quick with their response and always helpful. They do a great job at dealing with what we need to do when we are having an issue. Wold highly recommend, kate is great to work with and I always have everything dealt with quickly and swiftly. I received full web design services with Proweaver and I am very pleased, not only with the outcome of my website but the level of customer service is top-notch. I receive email responses in a timely manner and any changes to my website is a fast turn around. I highly recommend their services. Very good customer service. They are quite proactive and come up with good designs and suggestions for you. I already recommen them to friends and family. We start working with Proweaver a month ago and we have to say : ''WOW ''. Staring from excellent customer service, fast design and great support. We can't be more excited to the amazing hard work they had been puting in our website . It was totally what we were looking for and Pia Moreno rocks !! Best supportive and dedicated person. Thank you Proweaver for making our company website and for your hard and dedicated work . Garage Flooring Systems LLC is increasing thanks to you guys . yes! I would recommend Kate she is wonderful!!! very knowledgeable at what she does Works in profession her and staff are very qualified..Kate always get by to you in a timely manner. I'm very happy with her services!! Proweaver is the BEST!!!! Great pricing, excellent customer service from Amanda and Abby!!! Will highly recommend them!!! I recommend the Web Design because they can take what you want and enhance it in a way you have not thought of when it is finished. if anyone is looking for a professional website designer, I would definitely recommend @Tanya Montes from proweaver. Tanya was very professional from the beginning to the end of my process. Tanya was always a phone call away and made me feel very comfortable working with her! Thank you Tanya for designing my website!!! I've used them for years! excellent support and they get back to your very quick! Great company!!! Their work is outstanding. The best part of working with ProWeaver is the exceptional customer service-I have referred three businesses to them and they have not let me or any of my referrals down. Keep up the good work guys. Excellent service and timely response to issues. Very proactive with their work and professional. I will recommend them to any new small business looking for a great partner in web/digital design and overall marketing collateral help. I have been working with Proweaver for a very long time. They are pleasant to work with. Excellent customer services and support. I love the website they did for me. Thank you to everyone of their hard work. PROWEAVER has upgraded my website to be a phenomenal home of SDPPP. The designing of my website is user friendly, and well put together. If you are looking to stand out and be set apart with your organization, I would recommend Jona and Ivy Marquez as our sales team. I love my website. Please do keep up the remarkable work with both communication and delivery! Thank you for the updates here, very much appreciated. 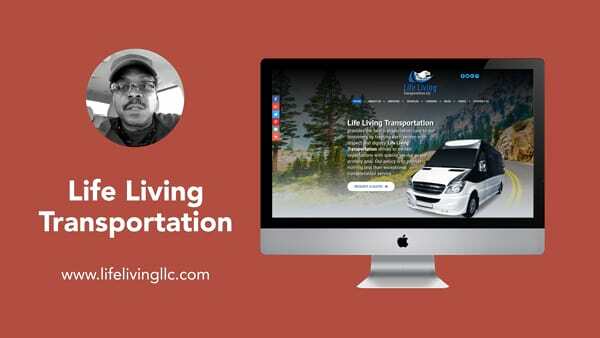 I used Proweaver Web to design my website for my Assisted Living business. The staff was very nice and knowledgeable in designing my website , logo , flyers , brochure and business cards for my business. They took the stress from me doing all that on my own. The Custumer Service was amazing. They answered all my question and they were so patient with me because I had no clue what it took to even start the process of them designing a website for me. I was very satisfied with everything and would recommend Proweaver Web to anyone starting a business. Proweaver Web are the Best in the business and I’m so happy that I chose them!!!! On behalf of the Alberta Manor staff, I want to thank you, Amanda, and everyone at Proweaver who helped with our website. We are extremely satisfied with the results and couldn't be happier with the final results. Thanks a million for creating the web site. It is very professional and brings out the message which the company intends to manifest. Nothing like this. Great job,beyond expectation. I am so pleased with your work. Will highly recommend your business. Thanks a million. My business phone is starting to ring a lot more and I think it’s due to SEO so thank you much! Thank you so much for all the work you've done on my new Donations page! It is looking great! You're one of the best web designers we've worked with. Thank you!! Thanks, for all you all are doing with my Social Media. Keep Up the Good Work. Thanks so very much for your regular updates you're sending letting me know what your team has accomplished so far. Thanks also for the prompt attention you give to changes I request, as we continue to progress on this Flamingo Media Center Project. You'll never know what a dream-come-true you and your team are making for me in this project. I'm so impressed with you and your team of professional developers. Thank you again for an incredible quality of work, amazing customer support and excellent design and development capabilities you've assembled on my Project. Thank you for the updates. I like the new look and photos. Taylor's Environmental Janitorial Services, Inc. Words can not describe the benefits we have enjoyed from the Proweaver Inc. in terms of good customer service, competence and rare skills in the provision of services to our company at Giantability Media Network Inc. and Livinghope Consulting and Counseling Inc. In our efforts to show appreciation and give back to your company, we have agreed to partner with you as an agent in progress by having a website design outfit added to our home page at Giantability.com. All this happened through the instrumentality of the good customer relations received from Kate Morales. Other staff members have also been very resourceful and one of them is Nicole Martinez who has been very very responsive to our calls and active in meeting our needs and taking good care of our concerns. Proweaver, it is nice to have you around and in the formation of a wonderful and productive synergy. Just wanted say that the social media pages are awesome the content is exactly what I was looking for in promoting my business. Thanks for the wonderful job will definitely recommend Proweaver to all of my business associates. GREAT job meeting our social media needs/desires. We are getting loads of comments from patients who are enjoying the posts. I appreciate the diversity in race and gender as well as the variety of topics addressed. We hired Proweaver to build our website after reviewing services from other websites builders and found this website to be much better in design, contents, and actually competitive and affordable, compared to other companies. As a healthcare agency, we have been impressed with everything they have done. The representative we dealt with Elsa was professional, knowledgeable, and very courteous throughout her dealing with us. I would recommend Proweaver to all my family and friends. Your contents are great and you post regularly as promised with good images to back up your posts. I get good feedback from friends about the contents of my social media sites though I haven't gotten any clients directly from them. I am very satisfied with your sevices. On a general note, I am very pleased with your services and I want to say thank you! Your team does a great job. I am very satisfied with your service and have recommended you to others. FYI This website is already attracting lot of people and few of my friends whom I showed this are impressed. You did great job THANKS! Thanks so much for the detailed report and all the work that went into this. The report is awesome. It is just the key words that I am sure we could do better on and I am ready to help where I can. Thanks again, to your whole team. From the Ideal Driving School and me Rabiul Shohail, i'm so proud that i have good team from Proweaver. They know what the customer wants! Me and my company would like to say THANKS THANKS THANKS TO ALL PROWEAVER TEAM. Good job keep it up! Wish you all the best! Thank you!! We appreciate all that you guys do!! By this note, we thank you for all your efforts in attending to our numerous requests regarding the Medical Mission photo gallery. We really appreciate your responsiveness and good customer service orientation. It was such a pleasure working with PROWEAVER. During my design process Michelle and Nancy were amazing, patient, and pleasant to work with. I was doing two different websites for different companies at the same time, all I can say is quality, fast and efficient. I highly recommend them! Thank you so much PROWEAVER. From the Ideal Driving School and me Rabiul Shohail, i’m so proud that i have good team from Proweaver. They know what the customer wants! Me and my company would like to say THANKS THANKS THANKS TO ALL PROWEAVER TEAM. Good job keep it up! Wish you all the best! Your contents are great and you post regularly as promised with good images to back up your posts. I get good feedback from friends about the contents of my social media sites though I haven’t gotten any clients directly from them. I am very satisfied with your sevices. On a general note, I am very pleased with your services and I want to say thank you! Thanks so very much for your regular updates you’re sending letting me know what your team has accomplished so far. Thanks also for the prompt attention you give to changes I request, as we continue to progress on this Flamingo Media Center Project. You’ll never know what a dream-come-true you and your team are making for me in this project. I’m so impressed with you and your team of professional developers. Thank you again for an incredible quality of work, amazing customer support and excellent design and development capabilities you’ve assembled on my Project. Thank you so much for all the work you’ve done on my new Donations page! It is looking great! You’re one of the best web designers we’ve worked with. Thank you!! On behalf of the Alberta Manor staff, I want to thank you, Amanda, and everyone at Proweaver who helped with our website. We are extremely satisfied with the results and couldn’t be happier with the final results. For some context, I have 4 companies with websites currently and have started/ built up several other projects. My first website was completed by a company in India that was so extremely difficult to work with that the tiny price difference was not worth the headache they caused me… then I used another graphic/ website design company and then another… but then a friend introduced me to Proweaver about 2 years ago and since then I have not only completed all of my websites/ graphic design with them but have referred over several friends to work with them as well. Erica, you have been really wonderful with us at Lagarllito’s Garden. We appreciate you and your team at ProWeaver, and all the hard work you and your team has put into our website and Facebook page. The design is remarkably amazing and very captivating. We appreciate all those wonderful short and long story articles you and your team have written for our Facebook page as well. Thank you for being there for us when we have questions and working with us over phone calls, and e-mails, all the way from the Philippines. I’ve used them for years! excellent support and they get back to your very quick! Great pricing, excellent customer service from Amanda and Abby!!! yes! I would recommend Kate she is wonderful!!! very knowledgeable at what she does Works in profession her and staff are very qualified..Kate always get by to you in a timely manner. I’m very happy with her services!! We start working with Proweaver a month ago and we have to say : ”WOW ”. Staring from excellent customer service, fast design and great support. We can’t be more excited to the amazing hard work they had been puting in our website . It was totally what we were looking for and Pia Moreno rocks !! Best supportive and dedicated person. Thank you Proweaver for making our company website and for your hard and dedicated work . Garage Flooring Systems LLC is increasing thanks to you guys . Proweaver is top-notch when it comes to website designs! My experience with them as been absolutely phenomenal! If there’s an issue they fix it immediately without any complaints. I would definitely recommend them to anyone looking for a great website designer. They’re the full package! l did my Company web site with Proweaver and the result is more than perfect site and many of my friends want doing their web with proweaver and specially with Tanya ,because sh is the best . Proweaver did an excellent job in designing my company’s website. From beginning to end, they were very helpful, informative, and diligent in the development of my company’s website. They strive to ensure my satisfaction of the product. I would highly recommend in working with Proweaver for the development of your website. 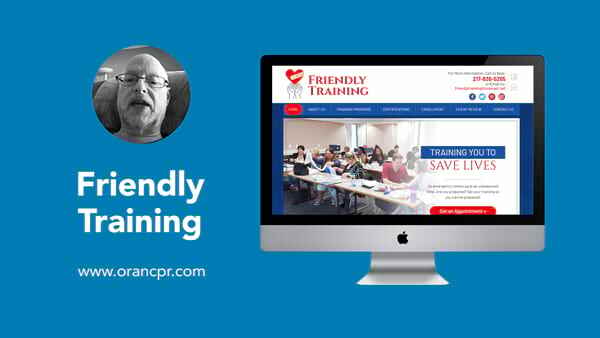 I have had a few websites developed for our company and nonprofit by Proweaver. I am always impressed with the turnaround time and customer service. The price is also affordable when you compare with others. What I like most is their willingness to listen to your point of view and not get resistive to your ideas like other developers who operate an almost “take it or leave it” style. Above all, the designs are quite creative and deliver the message without clutter. I am yet to try their marketing designs but I am close to it. Without hesitation, I will recommend Proweaver to my business owner friends. Pia Moreno and Nicole Martinez… are two TOP NOTCH PROFESSIONALS. I spent 5 years and thousands of dollare s looking for a web designer! I STRUCK GOLD, When i found Proweaver. My website is exactly what we have been looking for. They are now going to design me a site for my 501(c) 3 orgaization. Thank you Thank you Thank you! !